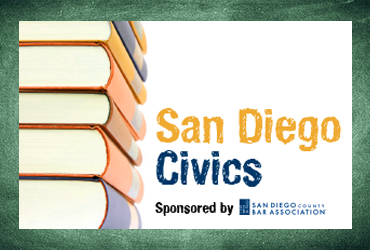 The San Diego County Bar Association and San Diego Regional Chamber of Commerce are pleased to announce the launch of a new initiative for upcoming high school seniors: the Student Civics Engagement Academy. Most experts agree that civic learning helps teach our youth the necessary skills needed for the 21st century workplace, including critical thinking, problem solving, communication, collaboration, creativity, initiative and entrepreneurism. Today civics and citizenship means more than understanding the roles of government and voting in elections. 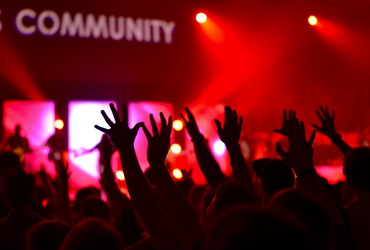 It means making sense of local, national, and global events, trends and information, and acting safely, responsibly and ethically in online forums. Citizenship requires a wide range of knowledge, 21st century skills and experiences for effective and productive participation in education and the workplace, in democratic processes and in community life. This week long instensive will run from June 19-23, 2017. It covers critical skills of civics, civic engagement and how those skills are used in the workplace. Participants meet and interact with business leaders, lawyers, judges, elected officials and civics leaders in this one-of-a kind program. Click here for the flyer explaining the application process for the SDCBA Students Civics Engagement Academy. The application deadline for 2017 has passed. This annual event involves school children in our Law Week celebration and generates excitement toward the justice system. Children in kindergarten through sixth grade are eligible to participate in the Poster Contest, while students in grades 6 through 12 can enter the Video Contest. 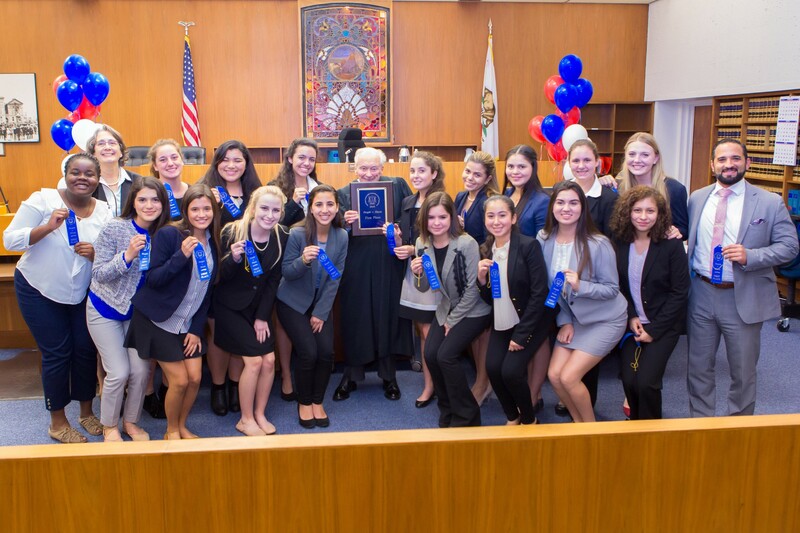 Entries are normally due in March with awards presented at the annual Law Week luncheon on May 1, 2019. A cash prize is awarded to three entries in each of the two contests. Contest winners will be announced in mid-April. 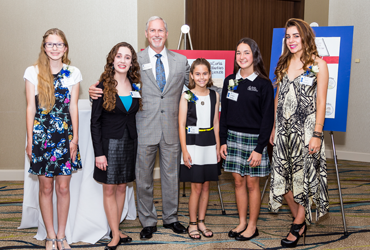 To learn about the Poster & Video Contest, contact Michelle Chavez, at mchavez@sdcba.org . Click here for the contest theme. Planning a lesson on the judicial branch of government or celebrating Constitution Day? Our members are eager, able and willing to come to your classroom and speak with students on a variety of topics. 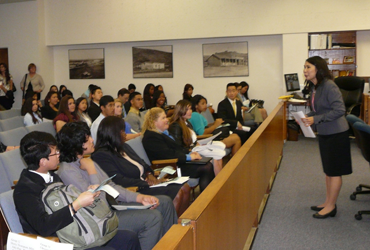 To find out about arranging for an attorney to speak to your classroom, contact bar@sdcba.org.